Now the sun turns out his light, Good night Sleep tight. 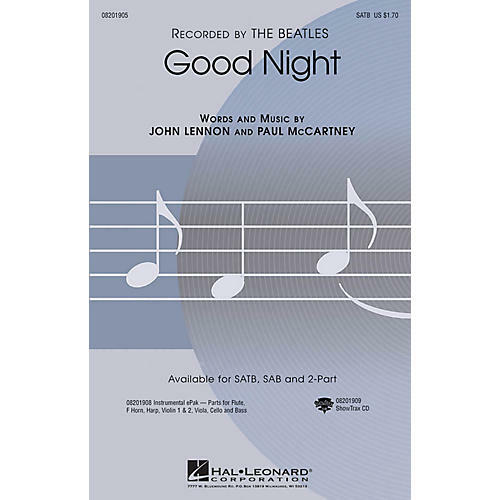 A Beatles' classic is transformed into an expressive concert choral setting that works wonderfully for choirs of all ages and levels. Warm harmonies, well-crafted vocal lines and a sensitive accompaniment make this a welcome addition to the repertoire.Available separately: SATB, SAB, 2-Part, ePak(S) and ShowTrax CD. Performance Time: Approx. 3:00.